Ok, all you graphic artists out there (and those who would like to be), I’m in need of some help. I am thinking of revamping the site and would like to add some sort of logo to it. I really have no preconceived idea as to what it should look like except that I feel there should be, for obvious reasons, a strong association with the state of Texas and reflect the varied topics covered on the blog. In addition to a logo, a nice banner to go across the top of the page would be good but that might be asking a bit much, I suppose. Let me be clear...I cannot offer to pay for the logo and/or banner. 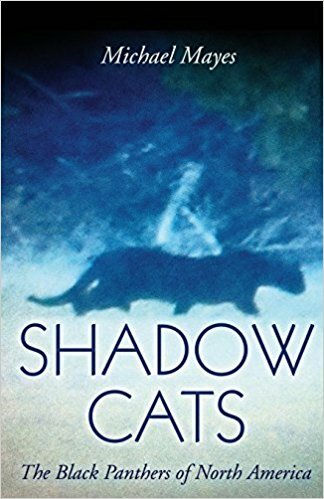 Being an amateur naturalist and cryptozoological researcher does not pay very well. In fact, it pays nothing. What I CAN do is offer you and/or your company a free plug on the site. I would post your logo/name prominently in the right hand margin of the site much like I now have the TBRC’s logo posted. This could also double as a link to your business site. That is the best I can do. So, if you would like some free pub for your business or just a chance to show off your artistic talents a bit, submit a logo for consideration. Looking forward to seeing what you guys come up with. 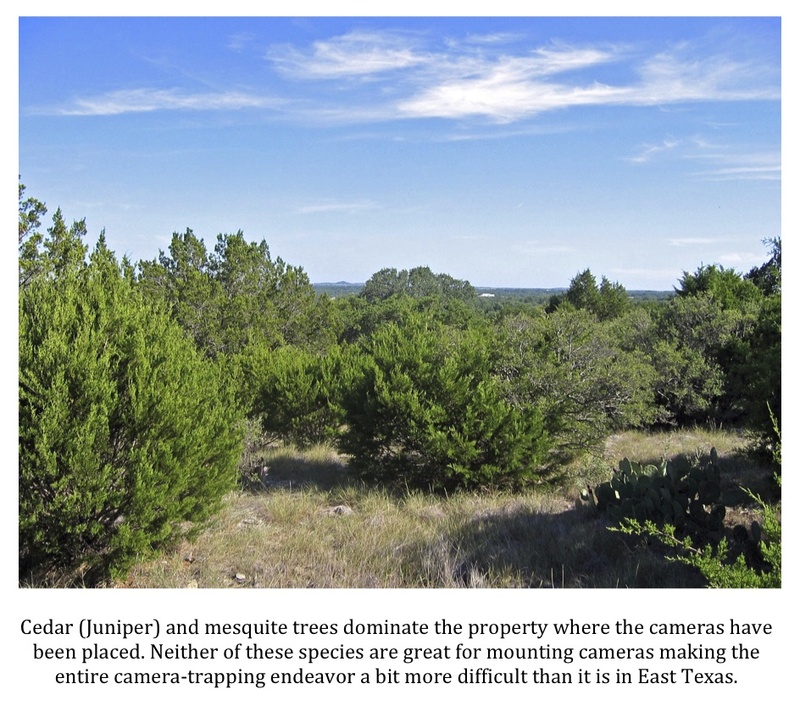 I’m pleased to announce that I’ve started a new camera-trapping project right here in my home of Central Texas. 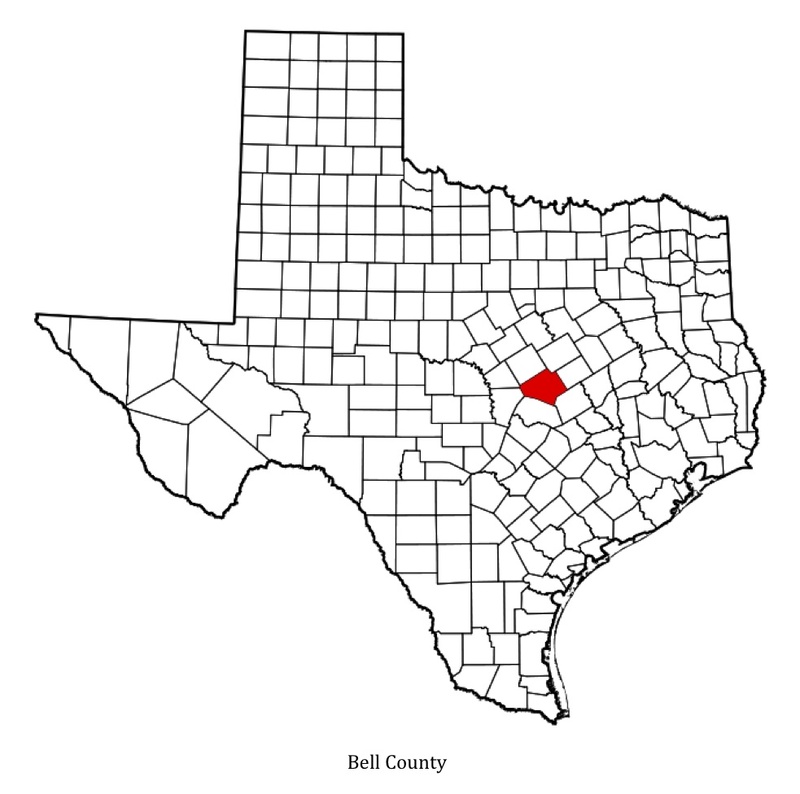 Back in March, Waco television station KXXV aired a video report about a “mystery animal” that was roaming rural SW Bell County and “ravaging livestock.” The video of the story has been removed from the KXXV website but, as of this writing, the printed version of the report is still available. Check it out here. I kept a close eye on the story as it was taking place practically in my backyard. An article printed in the March 3rd issue of the Killeen Daily Herald suggested there really wasn’t anything mysterious about the predator(s) at all and implied nothing but a pack of coyotes was responsible for the lost livestock. While I agreed that coyotes were likely responsible for most, if not all, of the killings, I did find it very interesting how people who had claimed to have seen the predator could have such differing opinions on what the animal might be. I replied with an offer to come out and place some cameras on the property to see if we couldn’t get a photo of these canids. My offer was accepted and I was privileged to visit with the family and tour the property last Saturday. As is often the case, I heard much more during my face-to-face visit with the family than was mentioned in the email. The family used to keep goats but was “run out of the goat business” due to the predation taking place. They just couldn’t keep their goats from being taken. Several members of the family have seen large long-tailed cats on the property as well. At least two different cats have been seen; one that was described as “yellow” and one was, you guessed it, black. I told them that the official opinion of biologists is that large black panthers do not exist. The family got a chuckle out of that, kind of shrugged their collective shoulders, and said that they saw what they saw. I was then taken on a tour of the property by one of the family members and we soon found a clear game trail running through a particularly secluded and wooded area. Cattle are being run on the property and there were cow trails all over the place. This trail, however, was on some steeper terrain than is found on most of the property and wound a narrow path through the mesquite, scrub oak, and cedars in this wooded area. Cows can, and will, get in some pretty surprising places but this trail is narrow and the trees hang low (I did a lot of ducking) which leads me to believe that it is being used by smaller animals that are lower to the ground than cows (at least most of the time). 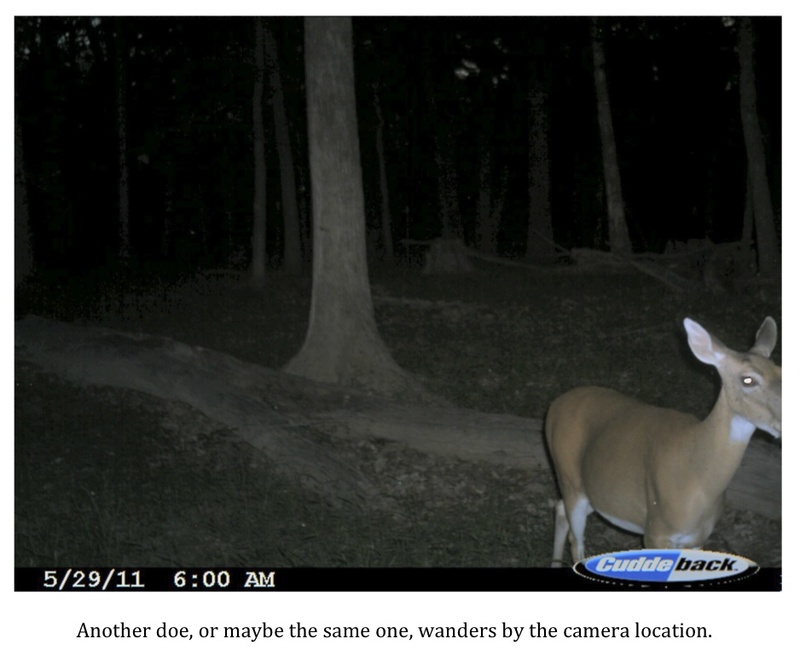 We found a spot where two game trails intersected and decided to put both cameras at this spot. I positioned one camera facing east down the main trail (this is usually not ideal as the rising sun can cause the camera to trigger but the area is wooded enough that I don’t think it will be a problem) and one facing north down the intersecting secondary trail. I can attest that there is much wildlife on this large piece of property. During my short stay I saw at least half a dozen Eastern cottontail rabbits (Sylvilagus floridanus) along with a Gray fox (Urocyon cinereoargenteus). 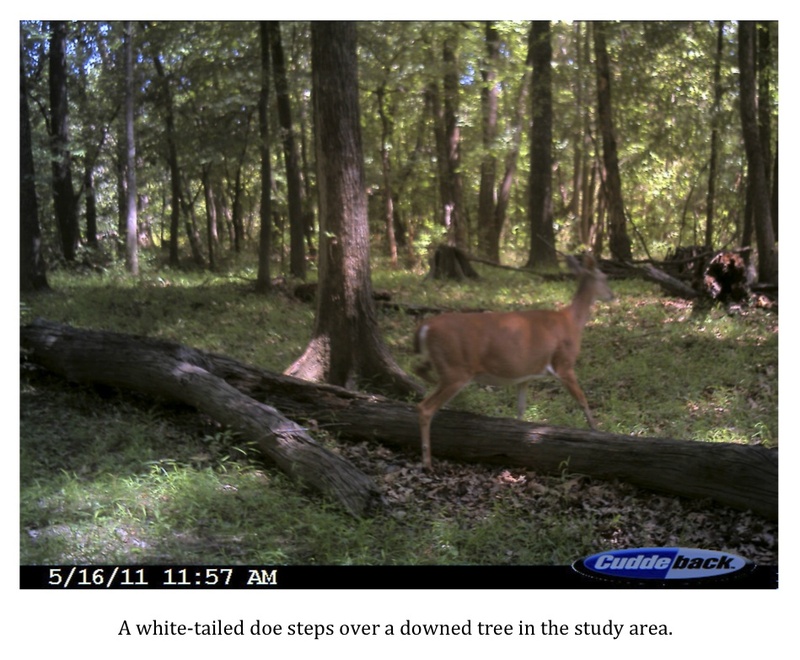 White-tailed deer (Odocoileus virginianus) sign was also seen though I didn’t actually see any myself. 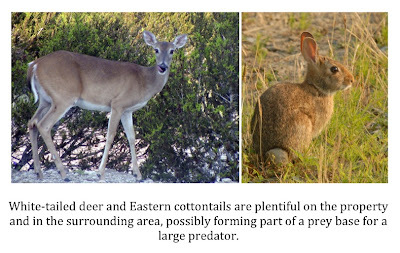 There does seem to be a prey base, on the property and in the surrounding area, that could adequately support a large predator at least temporarily. It will be interesting to see what turns up. I’m particularly excited by this project. Unlike most of the camera projects I’ve undertaken, I will not have to drive 3-6 hours to check memory cards and change batteries. 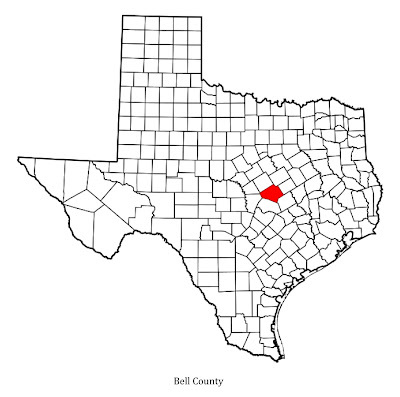 Assuming the landowners remain interested, this project could be a long-term census of the wildlife present in SW Bell County. More than that, however, it is nice to be able to help some of my Central Texas neighbors learn a bit more about what is inhabiting their land. Hopefully, we’ll find something unusual. Who says dinosaurs are extinct? No, I’m not talking about the legendary Mokele-mbembe of the Congo or the mythical Nessie of Scotland’s Loch Ness. I’m talking about a monster reptile that haunted a stretch of the Trinity River right here in Texas. The beast in question is an alligator (Alligator mississipiensis) that was recently shot and killed in a stretch of the Trinity that flows through Leon County by Dallas attorney Levi McCathern. Inspired by the television show Swamp People, McCathern decided to go after a big gator. “Something I wanted to do was hunt something that could hunt me and alligators seemed like a challenge,” said McCathern. After searching the internet for likely hunting spots, McCathern chose to hunt an area of the Trinity River just two hours outside of Dallas. He hired a couple of guides and was off in an effort to bag his trophy. You can read the details of the hunt itself and see a news piece on the alligator put together by the DFW area NBC affiliate here. 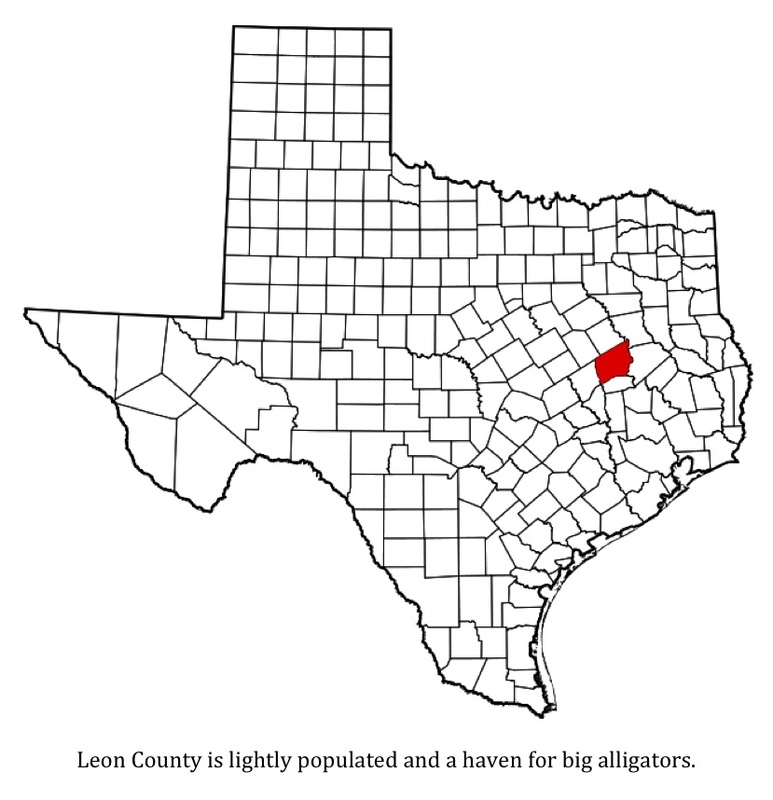 The alligator was truly a monster and must have been the undisputed king of that stretch of the river in Leon County. The giant reptile weighed in at 900 lbs. and measured 14 ft. in length. To give you a bit of perspective, the rim of a regulation basketball goal is 10 ft. off the floor. This was one enormous gator. In fact, it may prove to be a state record. Maybe I can help clear things up a bit…or maybe not. Here goes nothing. 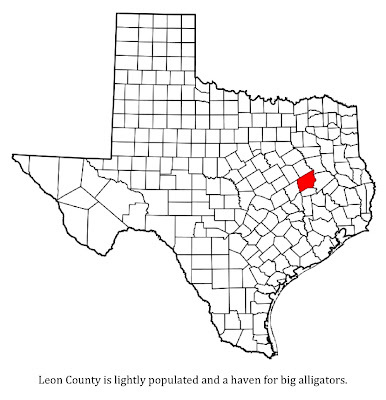 As I understand it, there is no spring season on alligators in the core alligator counties, which are Angelina, Brazoria, Calhoun, Chambers, Galveston, Hardin, Jackson, Jasper, Jefferson, Liberty, Matagorda, Nacogdoches, Newton, Orange, Polk, Refugio, Sabine, San Augustine, San Jacinto, Trinity, Tyler and Victoria Counties. Licensed hunters in non-core counties, however, are allowed one alligator per season, provided it is taken on private property with landowner permission using a line set, alligator gig, hand-held snare with an integral locking mechanism, lawful archery gear, or firearms. In addition, it is legal to take alligators from public water, provided the hunter is on private property when he or she does it. It is unlawful to discharge a firearm from, in, or across public water. Alligators taken from public water may be dispatched with a centerfire weapon, provided the alligator is on private land when you pull the trigger. If you are thinking all of that is about as clear as the muddy Trinity River itself, you are not alone. I’m right there with you. 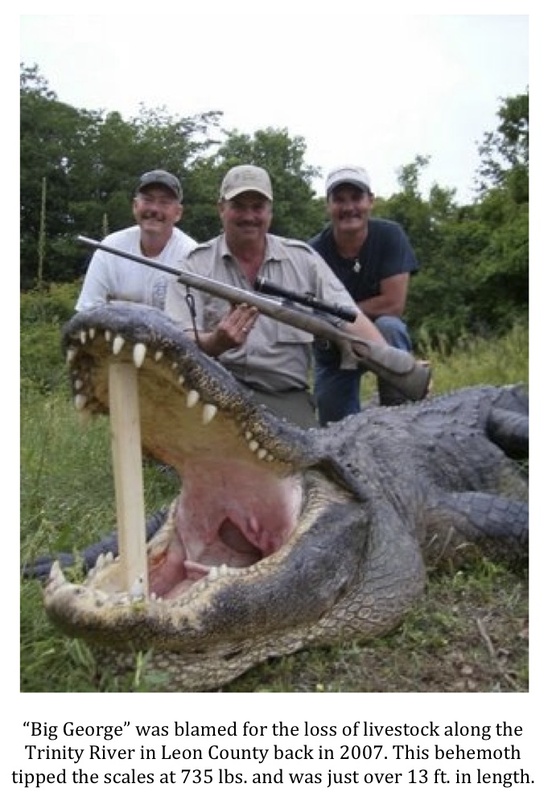 I guess the point is that this hunt was legitimate and Mr. McCathern did nothing illegal in taking this alligator. Many realize that the Trinity River is loaded with alligators. Many don’t realize that the stretch flowing through Leon County seems to be a haven for giants. The area is rich in wildlife. Beaver, nutria, otter, ducks, hogs, deer, turtles, frogs, and fish are abundant. All are potentially on the menu for an alligator and contribute to the staggering sizes being attained by these reptiles in the region. Occasionally, despite this bounty of wild game, big gators are tempted by domestic livestock. Back in May of 2007, a huge alligator, dubbed “Big George” by the locals, was suspected by ranchers as the likely culprit behind the disappearance of several yearling calves that year. The ranchers decided “Big George” had to go. So, permission was given for local guides to bring clients in on their private land in the hopes that the huge gator could be taken. A Lufkin resident named Danny Vines shot and killed “Big George” in May of 2007. The alligator was truly a colossus. It weighed a staggering 735 lbs. and was 13’ 1 ¼” long. At the time, “Big George” was the sixth largest alligator ever taken by rifle in North America according to Safari Club International. The saga of how “Big George” met his demise can be read on the website of the Corsicana Daily Sun here. The McCathern alligator would seem to have been a worthy successor to “Big George” as king of the Trinity River. No doubt, another bull gator, possibly the offspring of one of these two bruisers, will move in and fill the void left by the death of the latest giant. I thought I would give everyone an update on the camera project I’ve got going in Upshur County, Texas. 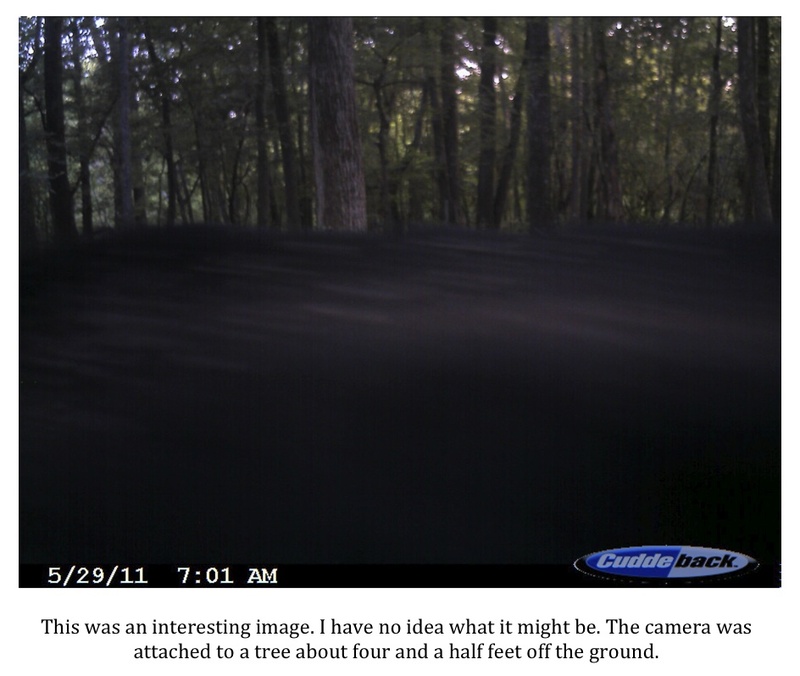 As you may recall, my friend Ken Stewart alerted me to a very credible black bear (Ursus americanus) sighting that took place in Upshur County back in November of 2010. You can read the original post here for the details. Ken interviewed the witness, an old family friend, and obtained permission for me to place a couple of game cameras on the property. So, this past May I made the trip to NE Texas, met Ken, and went to visit with the witness and place the cameras. 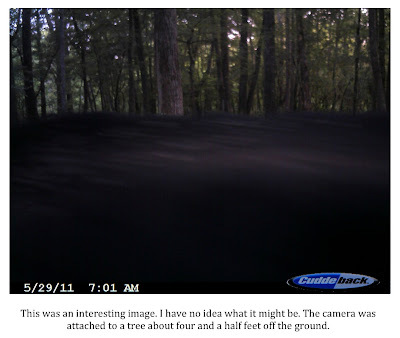 Not only did the witness share her experience of viewing three black bears as they helped themselves to an apple tree near her home but added the story of seeing a large black cat some months before as well. We also happened to run into a gentleman that leases some pasture-land belonging to the witness on which he runs cattle. He told us an interesting story of a sighting he had of a large black animal, which he says was not a hog or a bear. Read his account on this post. The area looked promising as the property backed up to a natural slough area formed by a small tributary of Cypress Creek. Hardwood trees are everywhere and there are wild black berries and muscadine grape vines growing all over the property. Ken and I picked a couple of good looking spots, applied some bear attractant, and set out two cameras. As of last weekend, the cameras have been out for a month. Ken was generous enough to go check the cameras himself so I wouldn’t have to make the long drive to NE Texas. The results were disappointing on two fronts. First, we got only a handful of photos. Second, it seems one of the cameras was stolen as Ken could not locate it. I guess I shouldn’t be surprised by the thievery but find myself shaking my head about it just the same. Not only was the thief brazenly trespassing but they just helped themselves to the camera without a second thought. It is too bad the second camera didn’t get a shot of this person as I’d have had that photo on the desk of the Upshur County sheriff ASAP. The news wasn’t all bad as we did get a few pictures showing some wildlife including one that, at first glance, is really creepy. 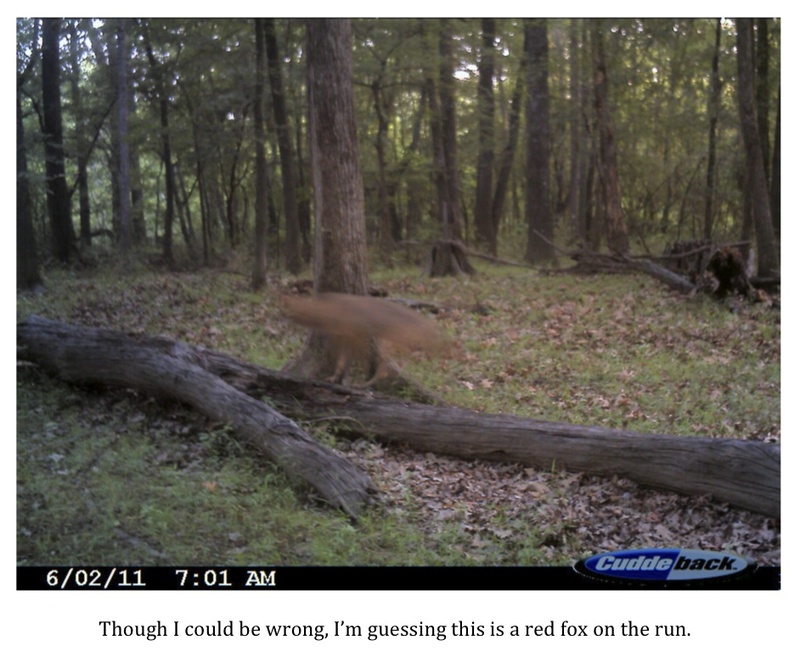 The photo in question shows a pretty scraggly looking coyote (Canis latrans) moving from the camera’s right to left. 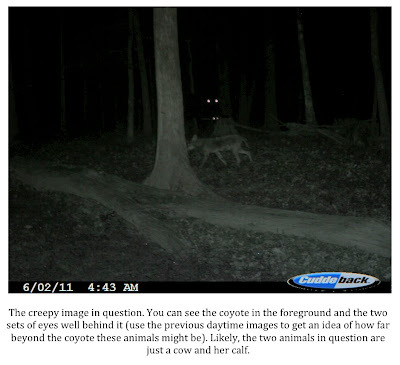 What is interesting is there are two sets of glowing eyes behind the coyote. The animals are pretty far behind the coyote, judging by the position of a stump in the frame, one of the animals appears to be very large. As I mentioned above, cattle are present on the property. Upon reflection, Ken and I both think the eyes probably belong to a cow and her calf that wandered down to the bottoms from the higher pasture. It is an eerie looking and fun image, however. Another photo is somewhat intriguing as it shows something getting up close and personal with the camera. All you can see is a large dark object blocking about ¾ of the frame. I can’t even be sure it is fur or hair visible on the object. It could be a falling stick, one of the bears we were seeking, or something else altogether. Again, keep in mind that the camera was set up about four and a half feet off the ground. Other photos showed white-tailed deer (Odocoileus virginianus) and what looks like a running red fox (Vulpes vulpes). I had Ken pull the one remaining camera. I have some other plans for it in the near future. Ken is going to deploy a camera of his own near the home of the witness pointed at the apple tree. Once fall arrives, and the apples ripen, our bruin friends might be back. If so, we’ll be ready for them. Some of you may be wondering where my post on Operation Endurance went. Some of you have no idea what I'm talking about as it was only up for about 10 hours. After sleeping on it, I decided, for various reasons, that it would be best to wait and post on my experiences and those of other TBRC members once the operation ended. I think it will be less disjointed that way and maybe I'll be able to draw more accurate conclusions once I have everyone's report. So, if you read the after action report that detailed the experiences I had from my week in the field consider it a "sneak peak" of what is to come. I will re-post it, along with a comprehensive overview of the entire operation, once things have wrapped up. This will be my last post for a week or so. I am going to be out in the field as part of the TBRC’s Operation Endurance from June 4th-11th. Operation Endurance is a forty-five day continuous research operation involving multiple four-person teams of investigators. The basic premise of Operation Endurance is pretty simple. 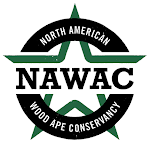 Take an area of interest with a long history of sasquatch sightings and suspected sasquatch activity and stay there for an extended period of time in the hopes that definitive evidence can be obtained. In my opinion, a large part of the reason the sasquatch remains undocumented is that the few who are trying to find this animal are limited to 2-3 day stays in the wilderness before having to pick up and go home to families and jobs. While it is possible that a “weekend warrior” could catch lightning in a bottle and get the proof needed to prove the sasquatch is a living creature, it seems unlikely. By maintaining a presence for an extended period of time, we in the TBRC are hopeful we can skew the odds a bit more in our favor and solve this mystery once and for all. The effort is in direct contrast to some of the strategies being used by others. For example, you will see a lot of shows on cable television where researchers seem to locate extremely credible evidence over a couple of days only to pick up and head off to another location for next week’s show. I have always felt that if truly compelling evidence is found in a certain area there is no reason to leave to look for additional evidence elsewhere. 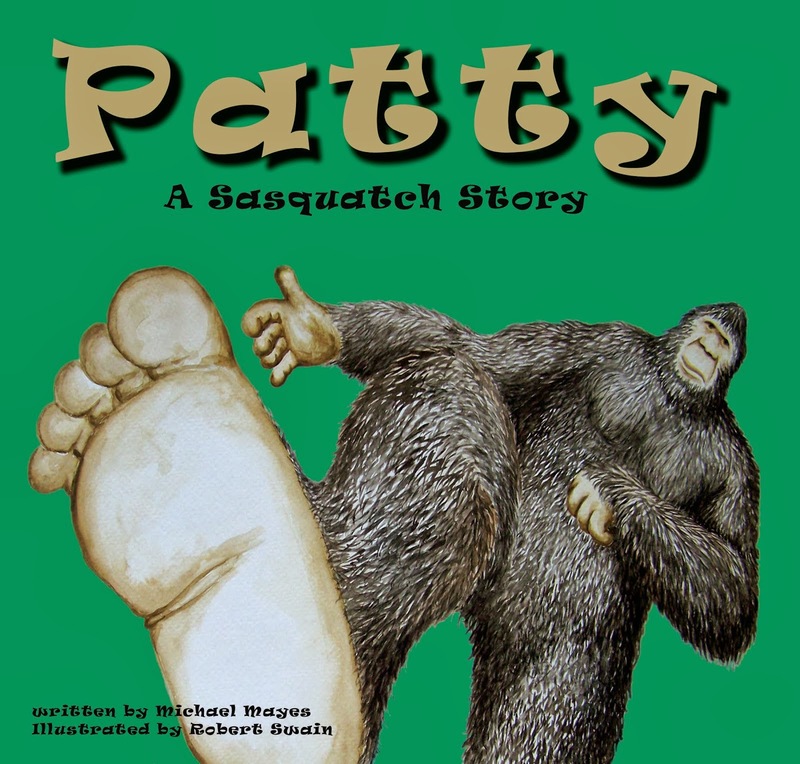 Why, if you are truly convinced that a sasquatch is in the immediate vicinity, would you want to leave and start over somewhere else? In any case, I will be out of pocket for a while. I will post an update on Week 1 of Operation Endurance, along with lots of photos, once I get home.